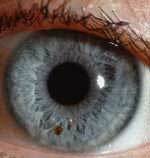 An iridology appointment takes approximately one hour. It is painless. Using a flashlight and small lupe to magnify your eyes, I read your iris while you jot down notes about organs and tissues we discuss that could benefit from herbal supplements or dietary changes. Iridology coupled with hair analysis, reflexology treatments and herbs, is an extremely helpful way to create, develop and maintain habits that will help improve your overall natural health. The Greek physician Hippocrates was known to examine patients' eyes for signs of illness. It wasn't until 1670, however, that the first actual medical reference to iridology as a diagnostic tool appeared in German physician Phillipus Meyens' book Chiromatica Medica. Iridology is officially accredited to the observations of a boy named Ignatz Peczely in the mid-1800s. Ignatz noticed that when an owl he was playing with became injured, a mark suddenly appeared on the same side of the owl's eye. Many years later, Dr. Peczely graduated from medical school in Budapest and wrote Discovery in the Realm of Nature and the Art of Healing, a book that received much attention in European medical communities. The amazing iris has connections to every organ and tissue in your body! No-one will ever refute the importance of an eye ("an eye for an eye...")! Iridologists use the iris like a television monitor to view tissue changes in remote body parts.